CLICK HERE TO LEARN MORE + PURCHASE YOUR TICKETS! This intimate session has limited seating. I will share details on how to score deals with big name brands. I’ve worked with major brands from Pantene to Brahmin + many more, and I want to teach you the strategies and techniques for securing gifted product and paid collaborations with some of the brands that you love. You’re trying to build a successful blog, but have no clue where to start. You’re trying to find time to blog and be more consistent, but don’t have a strategy for consistency. You’re trying to make some coin from your blog & social media, but right now you are working for free and don’t know how to monetize your message. You see other bloggers getting paid campaigns and you want to start working with brands too. You’re posting on social media, but no one is consistently engaged. If you answered YES to any of these questions, then Blogger Bootcamp is for you. This intimate workshop experience was designed for Bloggers who are getting started and want to take their content to the next level. Majesty will share tips, strategies and provide tools to help you have a profitable blog and personal brand. What to Expect: Blogging Tips, Social Media Strategies, Training on working with Brands, and Blogger Resource Templates. Required Tools: Each Attendee must bring a personal tablet or laptop for their 1 on 1 audits. Melissa is the creator of MelissaChanel.com, a beauty & lifestyle blog that offers hair, travel, & styling tips for the everyday girl. Aside from providing inspiration, the blog also offers a peek inside her world. She takes her readers virtually everywhere, including travels & beauty excursions. Melissa enjoys giving her readers the inside scoop on all things beauty, kicks, and fashion. Brands she's worked with: Cantu Beauty, Lidl Us, Vitamin Water, Coke,Toyota, Dicks Sporting Goods, Pardon my Fro, Pure Leaf, CVS, and Magnum Chocolate. Featured In: YahooBeauty.com, Fashion Bomb Daily, Essence.com and Popsugar.com. Majesty is the creator of Bornmajestic blog and online boutique. Her readers can expect post related to the latest fashion trends and beauty finds. She created her blog in 2013, and as she journeys through each season of life, she shares new experiences and so much more with her readers. 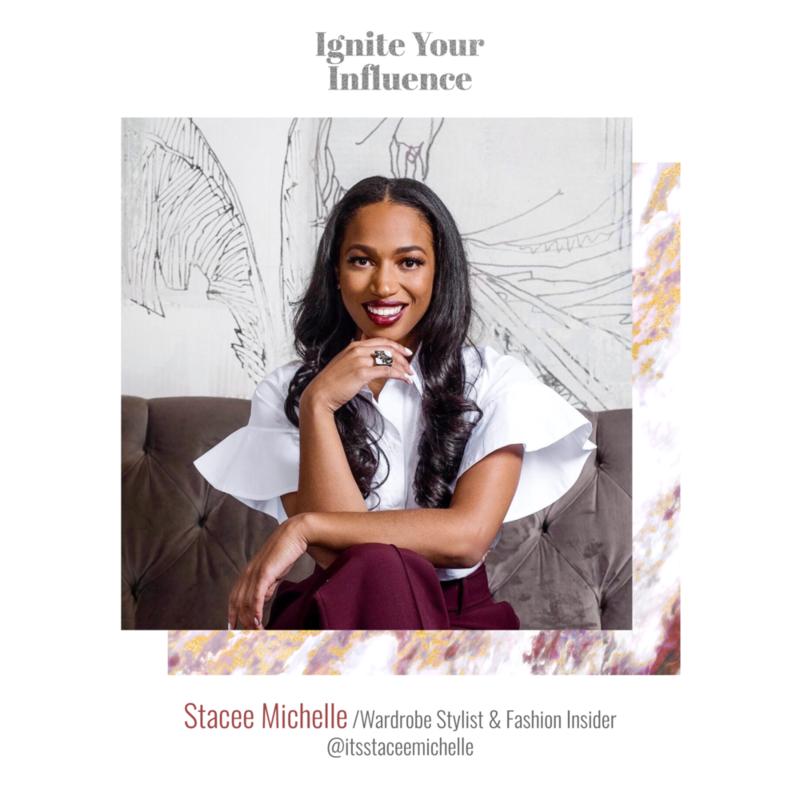 Majesty also created Ignite Your Influence and Blogger Bootcamp to offer educational experiences to educate and inspire content creators. Brands she's worked with: Yankee Candle, Banana Republic, Maybelline, Belk, Charming Charlie, Lancome, Herbal Essence, Givenchy, Origins, Marc Jacobs Beauty and Carol’s Daughter. Featured in: Target.com, Fashion Bomb Daily, Scoop Charlotte, and Charlotte Pride Magazine. I'll be a panelist and special guest at this event! Come share, support, and slay while networking with other Queens at this year’s Summer Trifecta. From starting or improving your fitness routine, business, blogging, branding and managing your finances you will be provided with tools to point you in the right direction. Let’s level-up together for a great cause as this year a portion of our proceeds will benefit the Girl Talk Foundation, Inc. Fitness, fashion, food, and philanthropy in the company of like minded women, it’s a win win! Join us! Come shop with Bornmajestic from 6-9pm during Camp North End Fridays at Dupp and Swat! What is your passion? Learn how to turn your passion into profit. Join us for an empowering High Tea event on Mother's Day Weekend. Wear your big hats and sundresses! Come be inspired, moved & motivated. The time is now, turn your passion into profit. Your event host is Jacinda Jacobs, Best Selling Author, Radio, TV Personality & Charlotte Hornets Host. * Vendors will be in attendence, come ready to shop! * Hats will be available for rent for $10. Majesty Acheampong is the creator of Bornmajestic.com, an online destination for women that features a boutique and lifestyle blog. Over the years, Majesty has grown her influence by working with brands such as Banana Republic, Maybelline, and Carol’s Daughter to name a few. Majesty now teaches new bloggers industry skills through her workshops and coaching services. Come Shop with Bornmajestic Friday 3/2 - Sunday 3/4! The Queen City is known as the home of big banks, bold barbecue, and the best basketball tournament in the world. That's right it's CIAA season, and you better believe the whole city will be on fire as we welcome in a long weekend of friends, family, and endless festivities. Join us for all your party prepping needs at our tournament edition of the Southend Pop Up Shop. Check out the city's best black owned small businesses, serving up fresh fits and flawless faces all weekend long. Don't waste time, or pay for parking, just hop the train to the East/West Blvd station, we're directly across the street. The 2018 tournament weekend is going to be too turnt, so make sure you come through the CI's premier, one stop SLAY shop. We'll see you there. I'll have my full Bornmajestic apparel & accessories collection available. Intended audience: This class is for bloggers who want to start working with brands and building their influence. It is open to all types of bloggers, personal or professional, focused on all niche's and topics. 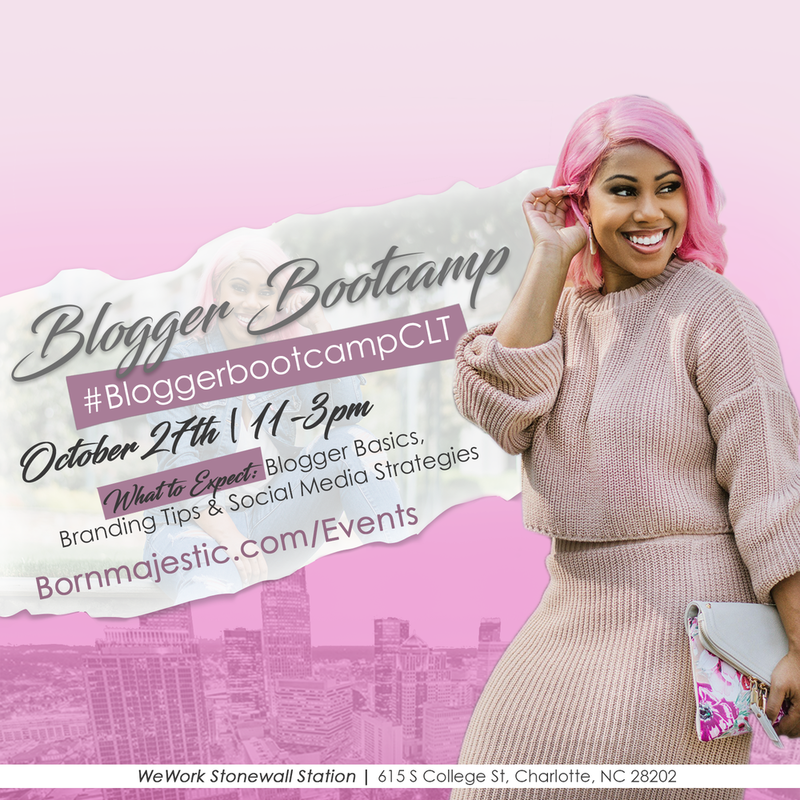 Blogger and owner of BornMajestic, Majesty Acheampong, will offer a workshop specifically designed for bloggers just beginning their journey. 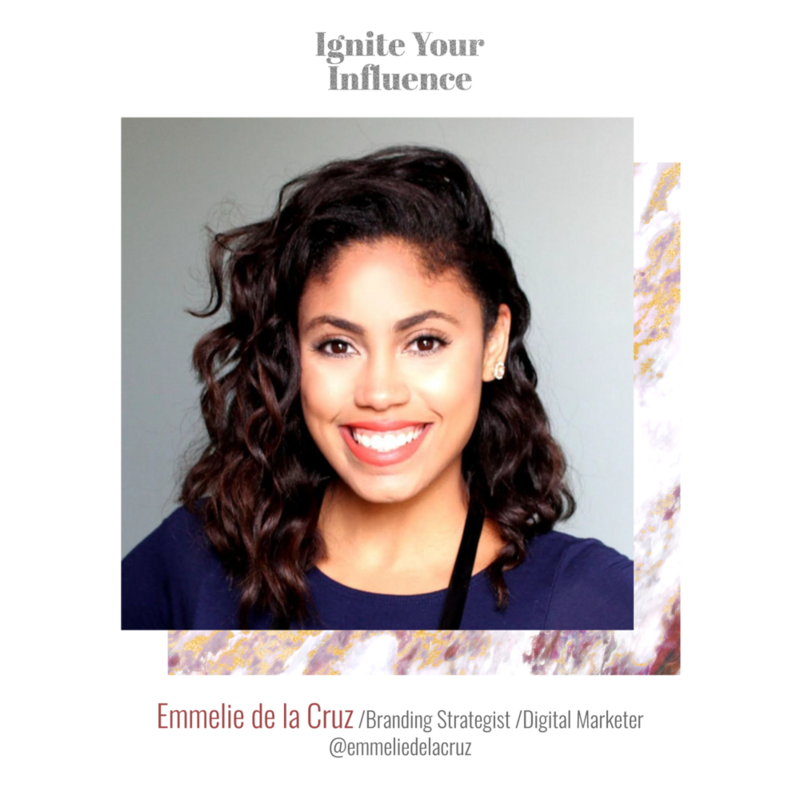 With over 16,000 social media followers, she will share keys for building a brand and becoming an influencer in the fashion and beauty industry. 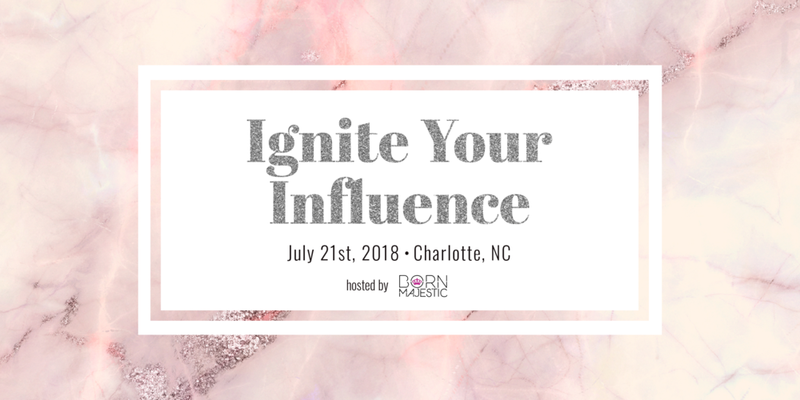 Whether your focus is fashion, lifestyle, skincare, or hair care, you don't want to miss this awesome opportunity to learn from one of Charlotte's premier fashionistas/bloggers.